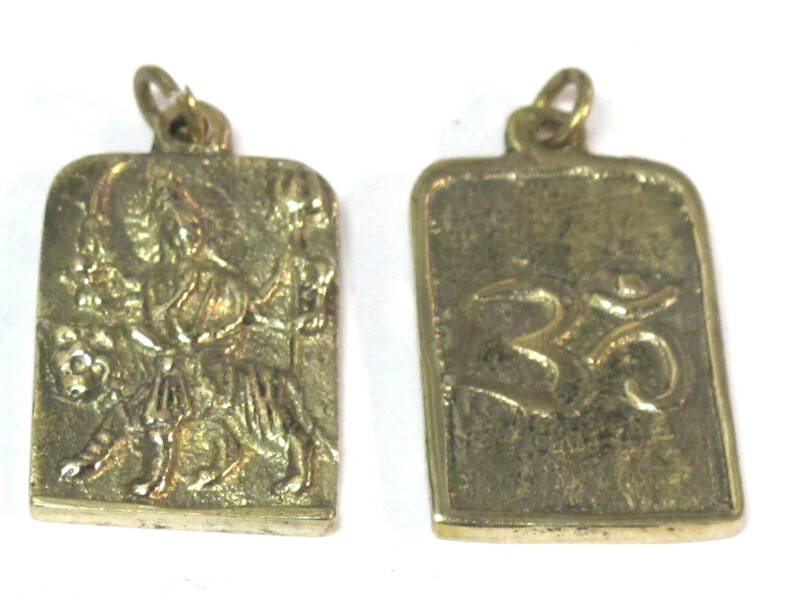 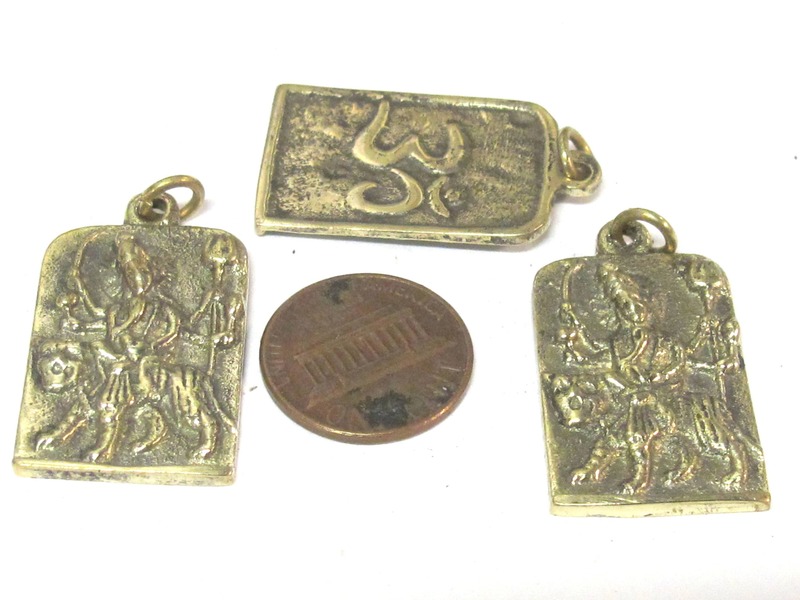 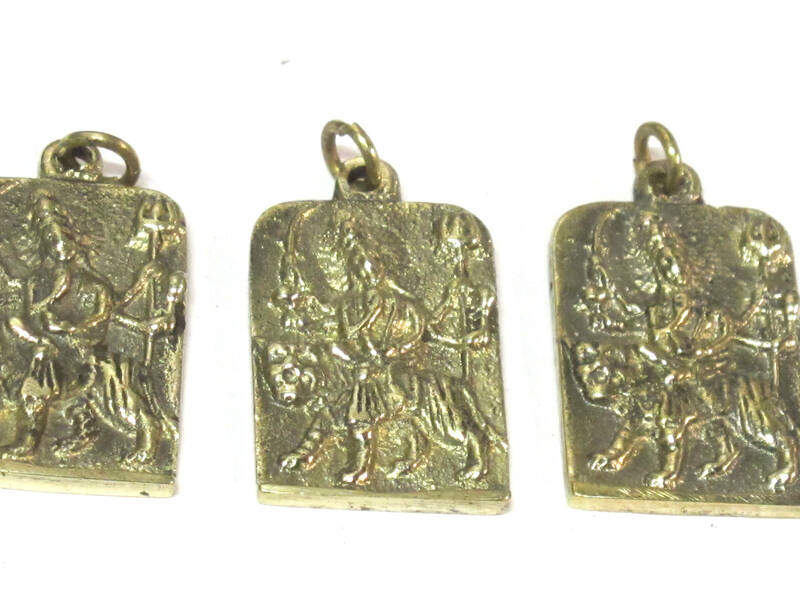 This is a brass pendant showing Hindu goddess Durga Maa on one side and Om mantra on reverse side. 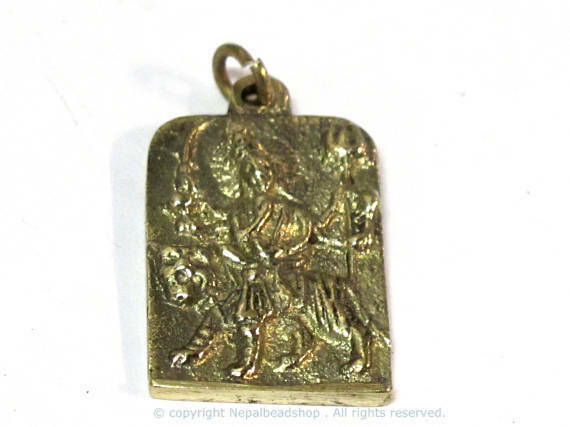 In Hinduism , Maa Durga is oftten shown riding a tiger showing her immense power to destroy the evil. 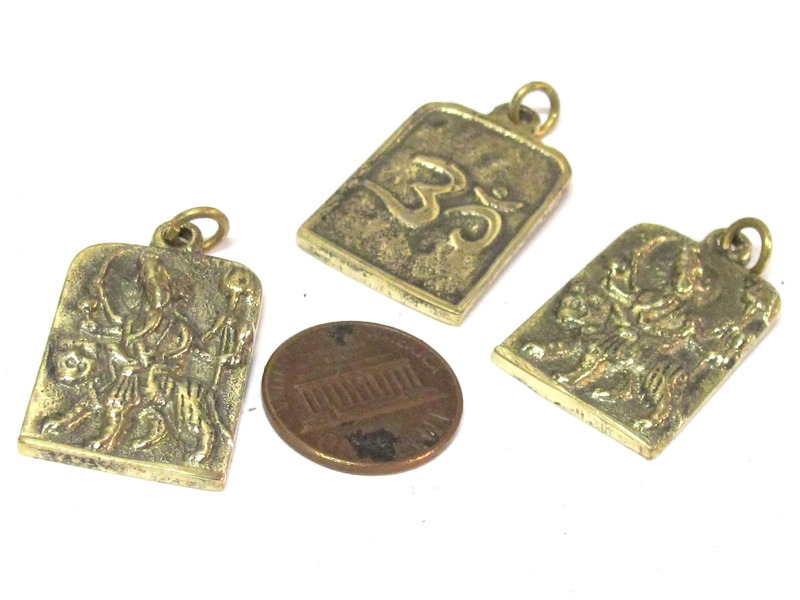 She has multiple arms with various objects in different hands - including Trident , sword , mace , lotus flower. Maa Durga is a protector from all evil forces.